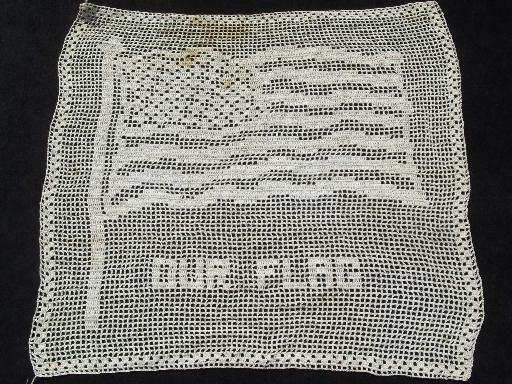 'Our Flag', the US stars and stripes worked in cotton filet crochet lace, 16 1/2" x 18" overall. It's 40s vintage, WWII era. This looks good and solid without fraying or holes, but there are spots and soil marks from display.